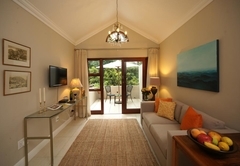 Craighall Executive Suites is a highly recommended property providing self catering in Craighall for tourists visiting the Sandton region. 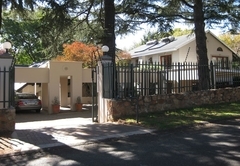 Craighall is centrally located in the leafy northern suburbs of Johannesburg, close to Hyde Park, Rosebank and Sandton. The suites offer a quiet and relaxed environment where you have complete privacy and the necessary modern comforts and amenities. 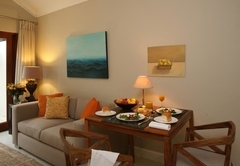 Each suite has its own entrance and provides self-catering accommodation with a well-appointed kitchenette. All units (with the exception of one) have either a patio or a balcony. The units suit the business traveler and the tourist and provides a temporary housing solution for corporate relocation's. On request, a Continental breakfast can be supplied and placed in your fridge the night before. Please note there is strictly no smoking indoors. One bed-roomed self-contained apartments, each with its own entrance. 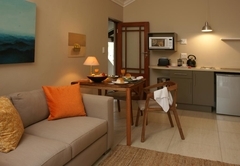 Each unit consists of a lounge with a fully equipped kitchenette, a bedroom, and a bathroom. 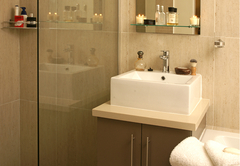 The downstairs units have a shower and the upstairs units have an en suite bath and a shower. 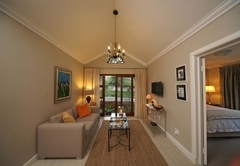 One ground floor two bed-roomed unit with two bathrooms (showers only) with its own entrance. Separate lounge with fully equipped kitchen and private patios. Lounge with full kitchen (includes fridge, four plate hob, oven, microwave oven, kettle & toaster, crockery, cutlery, kitchen utensils, tea, coffee, sugar, salt & pepper), separate bedroom with king size bed, separate bathroom with shower and toilet, free wi-fi, uncapped internet and underfloor heating. 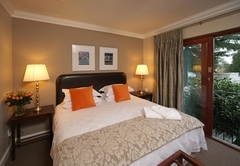 We had the pleasure of staying at Craighall Executive Suites for a long weekend, when we were recently visiting family in Johannesburg. What a great find! The location is ideal. Not only were we close to where my family lives, but one is very central and has easy access to reach Sandton, Fourways and Rosebank. James gave us a warm welcome and an orientation of an immaculate two bed-roomed ground apartment, which my husband and I shared with my parents. The units are brand new, and luxuriously appointed (lovely appliances in the kitchenettes). Being in the middle of winter we appreciated having underfloor heating. The large beds are very comfortable, with good quality linen. The shower had good water pressure, which I find is highly important. Also vital is that the location is very quiet. You are not on a main street, and there were no noisy neighbours or dogs etc etc. Total quiet bliss for a good night's sleep. We had total privacy, and were able to come and go as we pleased (having a remote for the gate). James was very accommodating with my request of stocking the fridge with some vital items for the first breakfast (as our arrival was in the evening). Good value for money, and we'll definitely stay there again when the next family occasion arises. I stayed here with my partner for one night before flying back to Australia. 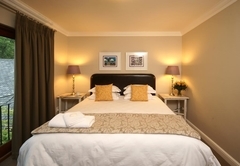 The accommodation is delightful - quiet, modern, well-appointed, spacious and comfortable. The underfloor heating is an excellent touch and the fridge was well-stocked for breakfast the following morning. 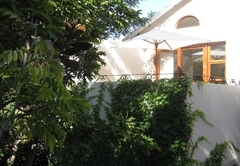 The location was ideal, close to Sandton City and easy to find. It would be a great place for longer-term stays as well, as it quickly felt like our own apartment in a quiet and secure location. Child policyChildren 13 years and older are welcome.